Nigel is your local Carindale Building Inspector. Nigel began his journey in building and construction at the age of 18. He started his carpentry apprenticeship working for a large multinational building company, constructing bridges and other civil construction projects in Tasmania. After completing his apprenticeship, Nigel decided to work and travel overseas for 5 years gaining experience in London and other countries renovating old and historical homes including working as a ship’s carpenter on a 19th century schooner in the Mediterranean. After returning to Australia, wanting to gain more building knowledge, he completed the Building Supervision Clerk of Works course in Sydney while working for himself as a carpenter. He gained his NSW Builder’s Licence in 1991 and his Qld Builder’s Licence in 1992. Moving to the Gold Coast, he built his own home and worked on various projects including new homes and renovations. After he and his family moved to Brisbane, he managed his own building maintenance projects over many years. He had the opportunity to teach carpentry modules at TAFE for approximately 9 years while gaining his Certificate IV in Building, Certificate IV in Training and Assessing. During that time at TAFE, he was involved in programs with Disability Services Queensland and helping under privileged kids in youth detention centres. After achieving a Certificate IV in WHS/OHS, Nigel worked as a safety consultant completing site safety audits for a Gold Coast company. For 13 years he has been training and assessing students in Certificate IV in Building & Construction at the Housing Industry Association in Brisbane. 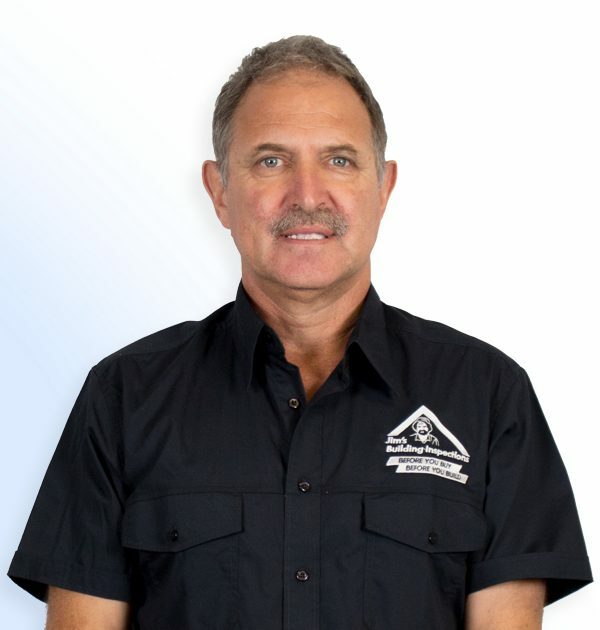 Nigel has been working for a building inspection company in Brisbane gaining valuable skills and knowledge for the past 3 ½ years. He was approached by the Jim’s Group to join the team as a building inspector which he recognised as a great opportunity to become part of a well-known brand and to further assist clients with their building inspection needs. On a personal level, Nigel enjoys spending time with his wife and his two beautiful daughters. He loves camping, travelling and swimming.